Hwy 101 mile marker 31. 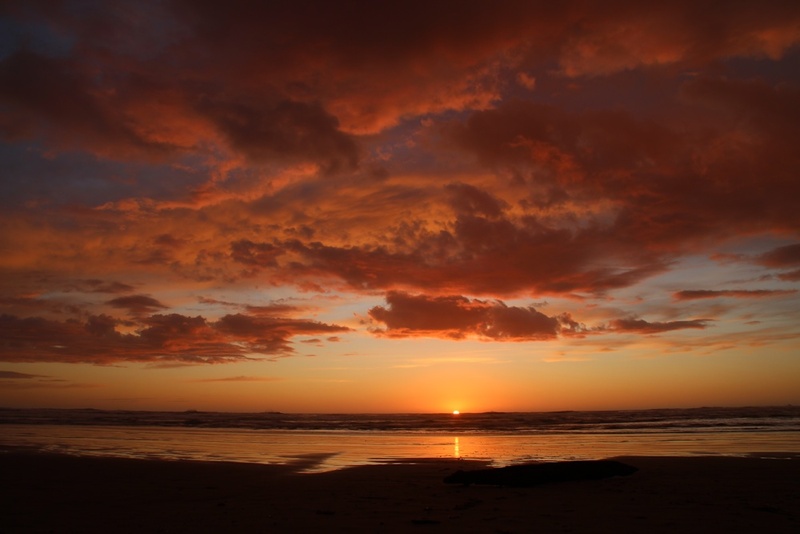 Tolovana Beach is located about 4 miles South of Ecola Park, and is the southern entrance to Cannon Beach - although you will have quite a walk to reach Haystack Rock. This entrance has the largest parking lot. 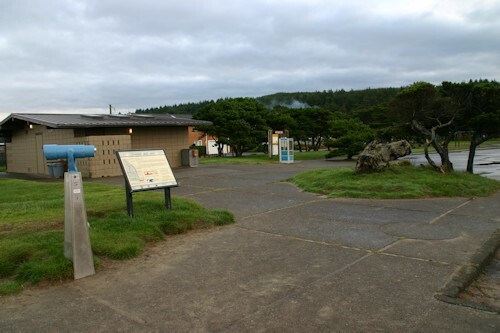 On the northern end of Cannon Beach near the Ecola Park exit from 101, you will find two other small parking lots with beach access. One is a parking lot near the turn-off that leads to Ecola Park. 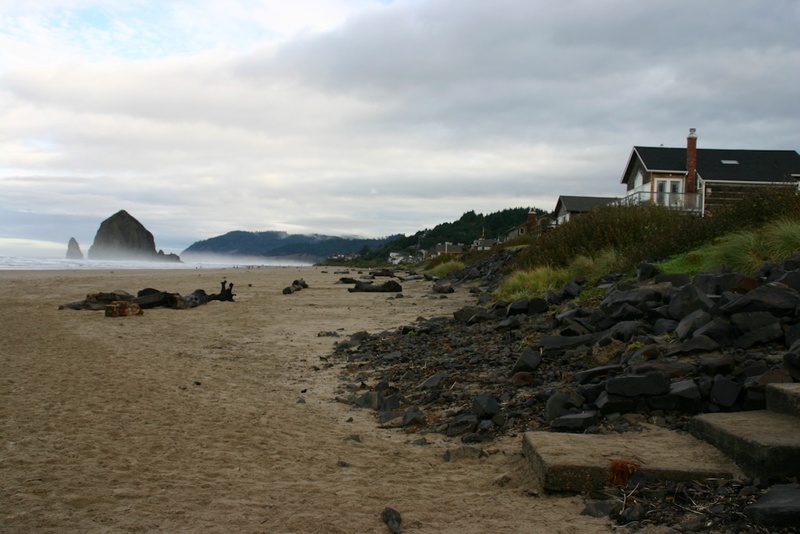 Note that this leads to a portion of the beach that is separated from the rest by Ecola Creek. 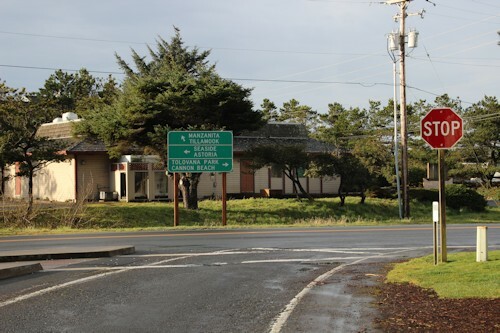 The other is a parking lot at northern end of the town of Cannon Beach. It is a small lot, and is marked with a row of "Cor-Ten" steel curved posts. There is also a public parking lot in the center of the town. Oregon Parks link:Tolovana Park No fee. 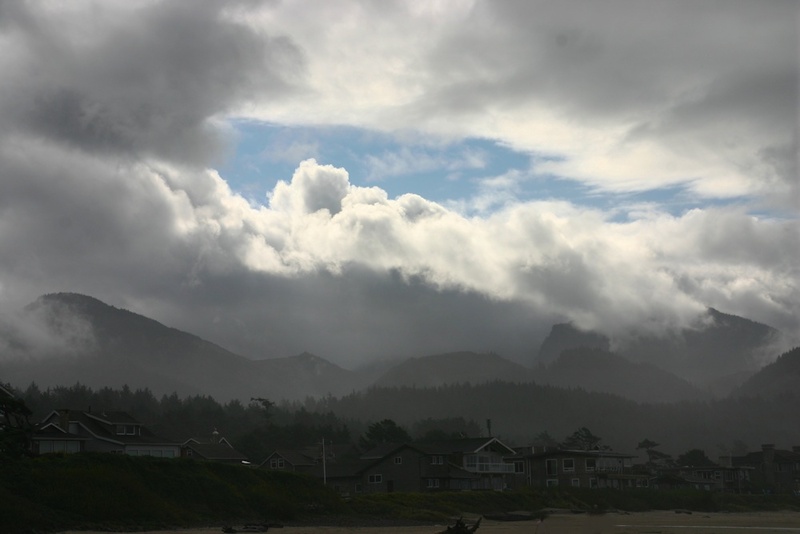 When you enter the beach from the parking lot, Cannon Beach is to the north. The iconic "Haystack Rock" can be seen in the distance. 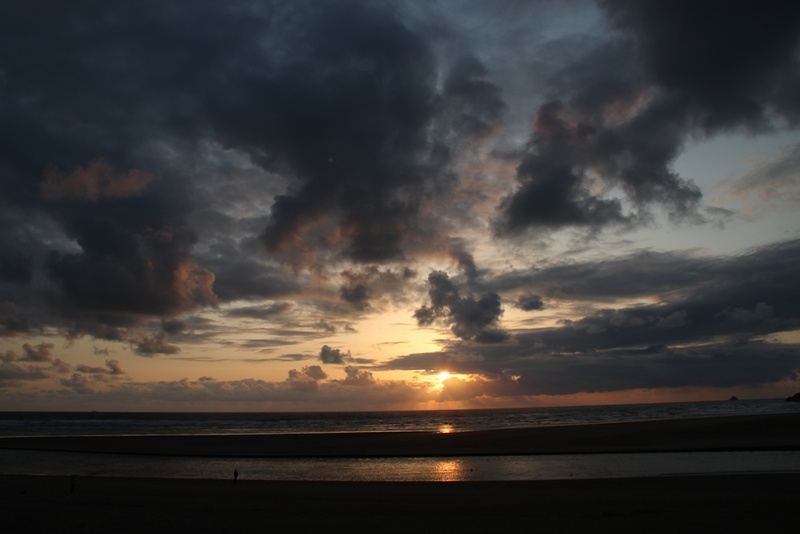 A sunset at Cannon Beach, early May. Another sunset, the next day. Here is a shot of the surrounding mountaions. Many homes are located in this area.